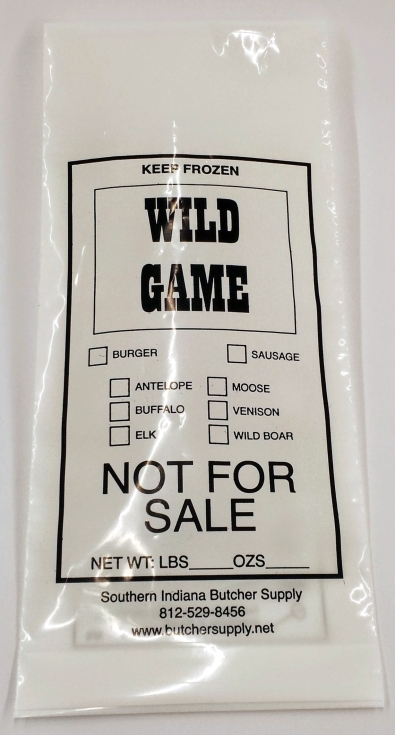 White, 2 mil ground meat freezer chub bags printed Ground Beef, Pork Sausage, or Wild Game. Available in packs of 100, or 1000 count. Select print style, size, and quantity from the drop-downs on the product page. 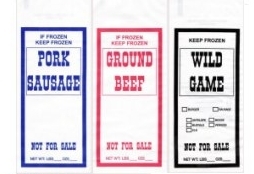 Ground Beef Bag Printed "Not for Sale"
Write Your Own Lable With Any Permanent Marker!